I realise that last week I said I would be talking about The Movies by Lionhead Studios. However, in honor of the release of Hideo Kojima’s last one, Metal Gear Solid V: The Phantom Pain, this week and next week I’ll be discussing ways Konami can keep milking their cash cow, now that they parted ways with their best farmer. Today, it’ll be Metal Gear 1 & 2, along with Metal Gear Solid. Next week will be MGS2 and beyond. With a preferred strategy when they eventually succumb to CoD-itus, ala AC, and start yearly releases. On to the Show! Metal Gear is a 2D, top-down view, 3rd-Person, stealth game released in 1987 for the MSX2 Computer. Ditto for Metal Gear 2: Solid Snake except that one was released in 1990- making it my age. Metal Gear Solid is a 3D, cinematic view (think, the static cameras of Resident Evil, but sliiightly more dynamic), 3rd-Person, “Tactical Stealth Espionage” Action game released in 1998 for the original PlayStation. In all three games, player take the role of Solid Snake- a grizzled war vet being manipulated while he tries to save the world from nuclear war. He is also a clone of Big Boss, the “Greatest Soldier of the 20th Century”. Metal Gear basically invented the stealth genre. Games like Deus Ex, The Last of Us, Theif, Dishonored, and especially Splinter Cell would not be the same games we know and love without it. And those are just stealth games, the series has touched tons of games over the years. Every game broke some kind of new ground, revolutionized some aspect of gaming, with each installment. So in this post I will be discussing two sequels to The Phantom Pain. First up, Metal Gear 1 & 2 combined into one game. I know alot of fans kind of expect a remake of the original next. However, I feel like we should combine the first two because the original is good, but very light on story. The way I see it, chapter 1 could be “The Outerheaven Uprising” and chapter 2 could be “The Zanzibarland Incident”. 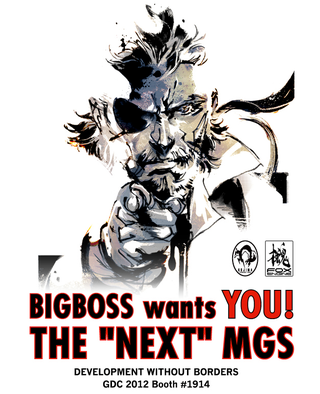 The stories could be tweaked slightly (well, more than likely expanded significantly) focus ing on themes of loyalty (Snake having to kill his mentor,Big Boss), nuclear deterrence vs proliferation (Snake wants to stop Metal Gear and prevent any and all nuclear war; Big Boss, disillusioned by The Boss’ dream, and Cipher’s corruption needs to hold on to all possible bargain chips), child soldiers, genes vs free will, if a born soldier can find peace off the battlefield, etc. All the standard MGS stuff. It would be powered by the Fox Engine and work like TPP- though I’m not sure it would need to be as big, since it will be two maps, with essentially one big base on each surrounded by forest (1) and jungle (2). Foxhound can have an offshore base (originally Big Boss’ base, but after moving his crew to Outerheaven & Secret Outerheaven, he gave it to the U.S. and took control of Foxhound). I don’t know if drivable vehicles will return, though probably because that can make infiltration so much fun. There will be no base management though, as these are solo sneaking missions. First playthrough arms you with NVG and a throwable distraction device (same function as magazines [empty clips))- with weapons and equipment OSP. Binoculars instead of radar for this one. After defeating Metal Gear TX-55 (I think?) Big Boss escapes to his second, secret Death Star Outerheaven and Snake goes to HQ to gain intel and actually pack gear before heading to Zanzibarland. After the Outerheaven Uprising (Operation: Metal Gear) but before the Zanzibarland Incident (Operation: Snake Destroyer) Solid Snake learns of Grey Fox (Frank Jaeger)‘s deception (he never returned to base after being “rescued”, satellite imagery caught him cohorting with BB in Zanzibarland). This leads to an awesomely intense, but brutally graphic fist-fight on an active minefield. After stopping Metal Gear D, and learning from Big Boss that he is a mere clone made for killing, Solid Snake retires and decides to move to Alaska and live the rest of his life in peace- to go against what he was “bred for” and live life on his terms. David Hayter can reprise his role as Snake- and maybe even write a bit, while Kiefer can reprise Big Boss. Oh, and Snake gets his bandana from Big Boss. This would be the next game. The best thing about this is the story is already written, it just needs tweaked. Codec should work like the radio does in Phantom Pain, but some conversations will have to be cutscenes and almost all of it needs shortened or tweaked or triggered in areas with longer travel. Damn near every major moment needs to be included. All major story beats should be present. Like the last game I just made up, Snakes model is a clean-shaven, pre-mullet, updated poly-count & texture version of “Young Snake” from MGS4- though this version is a bit more grizzled, starting his beard. Shadow Moses will be the whole island, and the opening infiltration will be playable. The facility will be much larger and more detailed, with more offices, R&D labs, weapons storage, etc. That’s on top of all the important places. This place will feel like a real weapons development warehouse/nuclear disposal facility. I would love to see what they can do with the snow physics and enemy AI- with genome soldiers noticing footprints, smelling smoke, etc. And that is right here. In the meantime, what ideas do YOU have for sequels (Metal Gear or otherwise)? If you talk about any of my ideas for next week though, I’ll be mad because I’ll probably have to give you credit for posting first, or something.